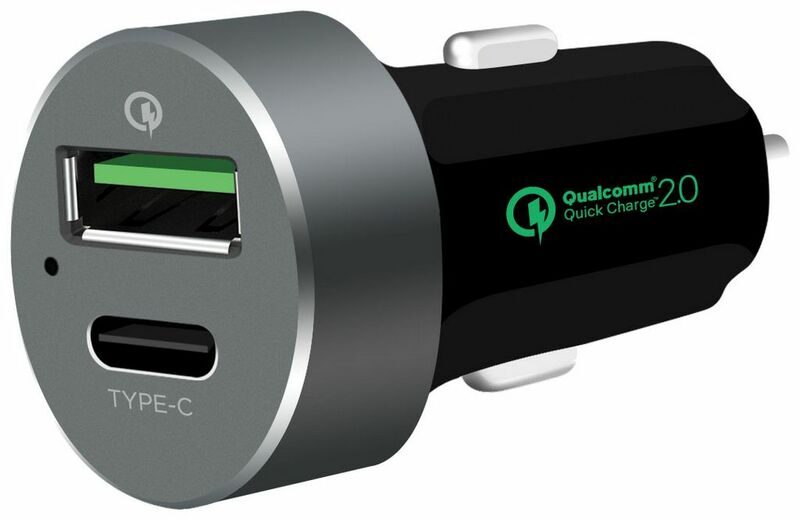 This car charger has two charging ports, a QuickCharge™ 2.0 USB A port and USB type-C port. Compact size and international voltage compatibility (DC 12-18V). It also has over-current, over-charging and short-circuit protection. 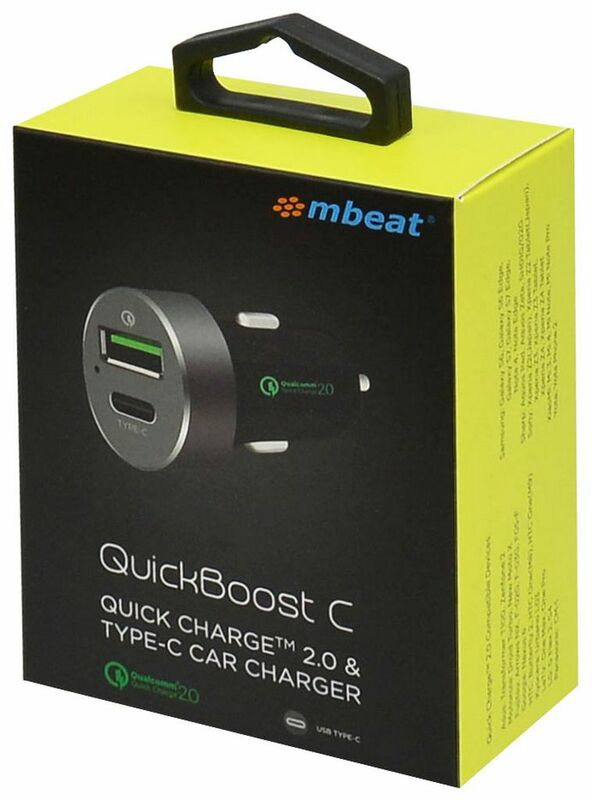 QC2 power output: 5V @ 2.4A, 9V @ 2A or 12V @ 1.5A.